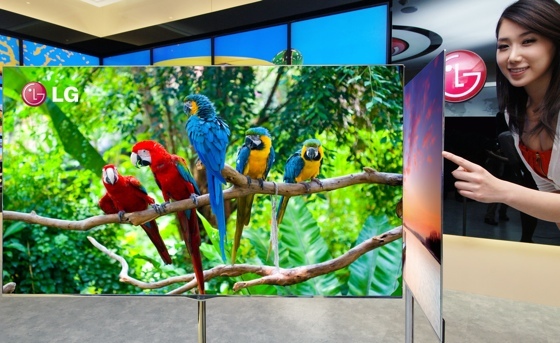 LG will be showing off its largest OLED TV at the Consumer Electronics Show (CES) next week having taken the telly tech to 55 inches. Once heralded as the successor to the LCD panel, OLED has struggled to achieve the screen sizes other display technologies can manage. For a long time it seem OLED TVs wouldn't get any bigger than the early 15in and 22in offerings. 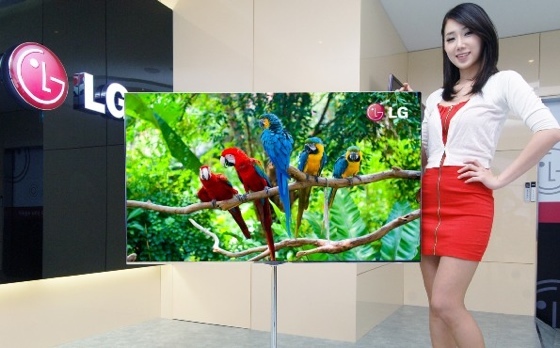 Even they were incredibly expensive, and no doubt LG's 55-incher will be too. The set is just 4mm thick, mind, and each pixel's hue is formed from four colours rather than the customary three. Don't forget, OLED doesn't require a backlight: the pixels themselves generate the light. In addition to red, green and blue, the OLED TV has a white sub-pixel.